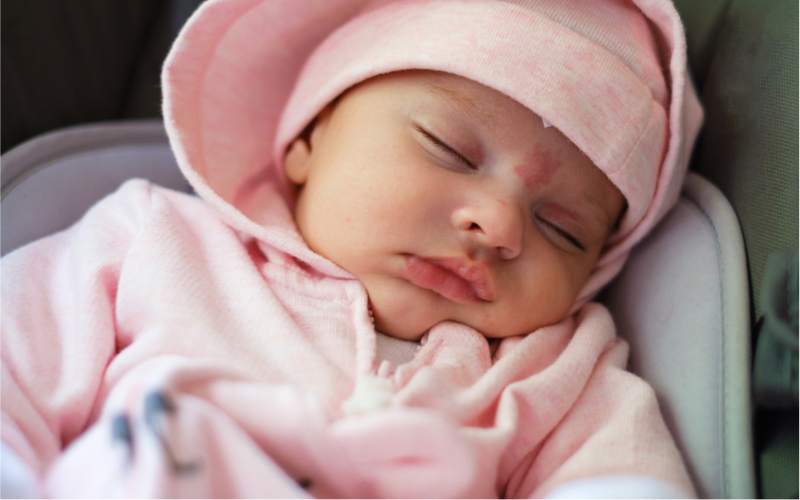 The most common birthmarks on newborns are flat, tan spots and salmon patches. Salmon patches are red patches found on the eyelids, the center of the forehead and back of the neck, which usually fade during the first year of life. Be sure to discuss any other birthmark with your pediatrician.